A few weeks ago one of the members of our small, unofficial, dessert club suggested Locanda Verde for our second outing. The suggestion was probably the easiest restaurant “sell” in history given that the three of us are such big fans of Karen Demasco’s baker-centric desserts. 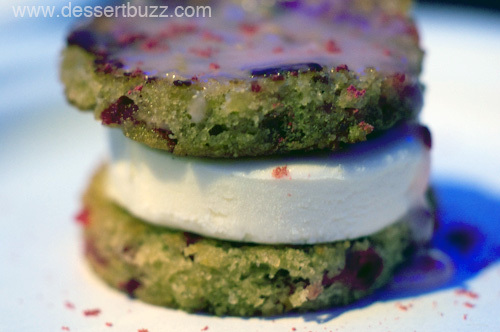 I had also been itching to revisit Locanda Verde’s latest dessert menu since seeing Ms. DeMasco at the New York Food and Wine Show “Sweet” event where she brought some cranberry spiced griddle cakes with mascarpone gelato. Unlike our last outing at Dominique Ansel Bakery, which was 100% sweet, this one featured plenty of savory dishes prior to the trio of desserts–but I’ll leave those dishes to my colleagues. “Zucca” is Italian for pumpkin and there were at least two pumpkin elements in the highly involved “La Fantasia di Zucca“. 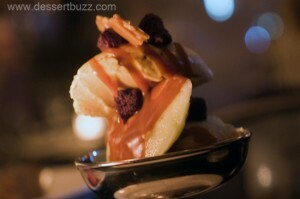 The dish featured pumpkin gelato, green apple sorbet, gingerbread croutons, spiced caramel sauce and pumpkin seed brittle. The pumpkin gelato and green apple sorbet reminded me of the great texture-flavor pairing found in a creamsicle. The dairy-based-smoothness of the gelato and the tangy apple sorbet–was a real winning combination. The addition of the caramel sauce, pumpkin seeds and gingerbread croutons made the dish feel more grande like a hot fudge sundae vs. a simple ice cream cone with sprinkles. Sam Sifton once called the Maple Budino one of the 11 most memorable dishes of 2009. 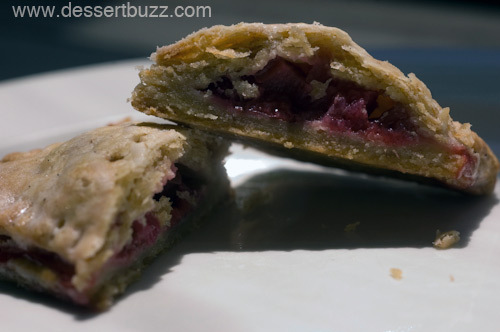 Our version from last week featured cranberry-orange conserve and cranberry sorbetto. If you like panna cotta, creme brulee or any other pudding-like desserts you will love this dish. 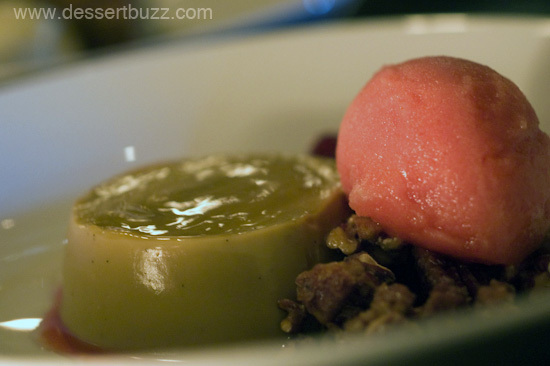 Imagine a super-light panna cotta with little or no gelatin to dilute the maple flavor, leaving it highly concentrated. The slightly tart conserve and sorbet balance it all out. 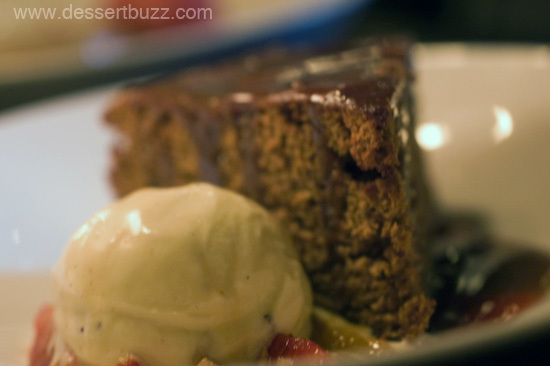 The Toffee date cake served with coffee toffee gelato was moist and flavorful but my favorite part of the dish was the gelato. You can easily taste the two distinct flavors of coffee and toffee. If you’re in the mood for a simple but flavorful dessert–cake and gelato–this is the one to order. Don’t forget that Locande Verde also has a very pleasant cafe area where you can order all kinds of great baked goods without sitting down to a full meal. Open mornings from 8:00 a.m.
Locanda Verde is located at 377 Greenwich Street (off North Moore St.) Locanda Verde’s web site is here. Follow DessertBuzz on Twitter.